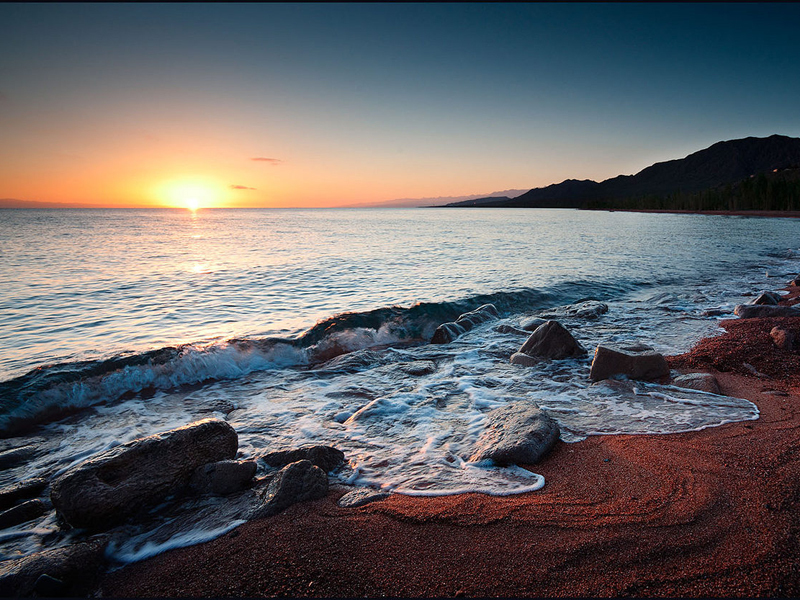 We invite you on a trip around the Pearl of the Tian-Shan mountains: Lake Issyk-Kul. On the way to the lake we will see Burana Tower, a monument of the Silk Road. 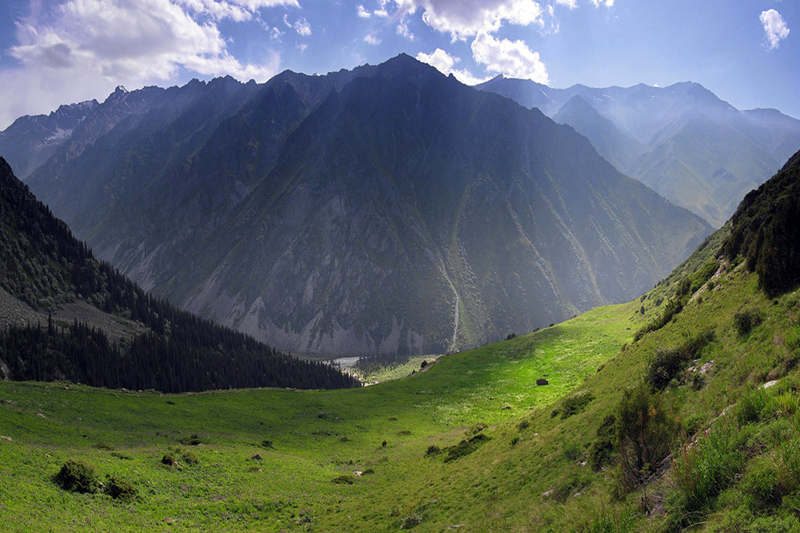 Afterwards, we will visit the most popular places around Issyk-Kul: Cholpon-Ata, Karakol, Jeti-Oguz, Tamga, and more. Meeting at the airport, transfer to the hotel. 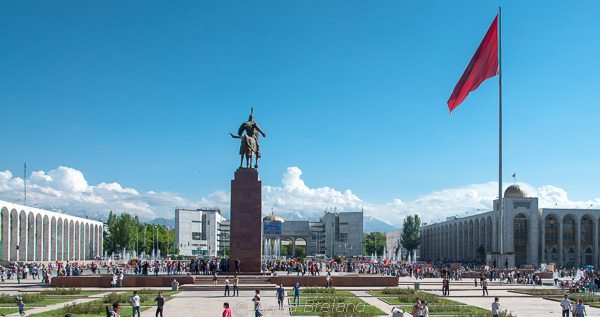 City tour: Ala-Too Square, Philharmonic Society, Statue of Manas, Victory Square. Overnight stay at the hotel. After breakfast a transfer to the Ala-Archa National Park (40 km). The gorge is famous for its alpine flora and swift mountain rivers. It is surrounded by high mountains covered with snow. Our hike is going to start from the alpine camp (2200 m) to the Ak-Sai waterfall, the height of which is 35 m (2700 m). The track will pass through coniferous forests and alpine meadows. Picnic. Coming back to the alpine forest and later to Bishkek. Overnight stay at the hotel. 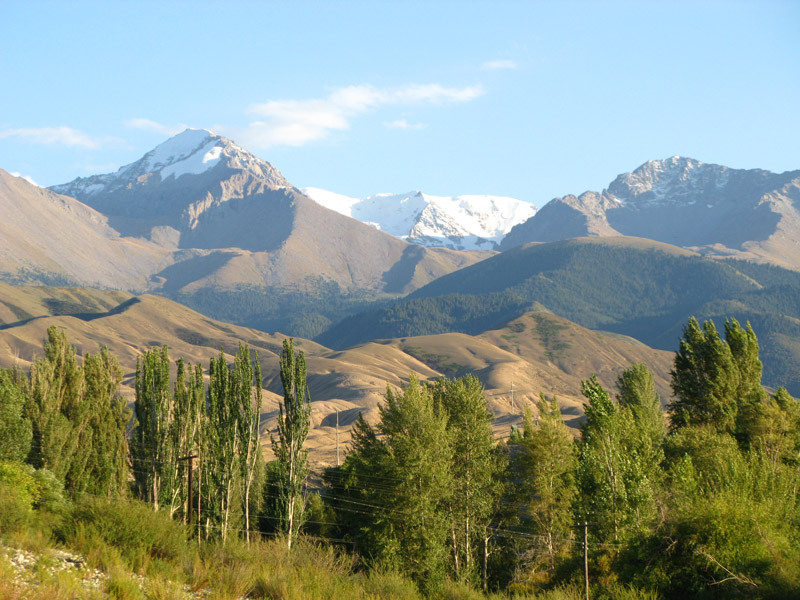 In the morning a transfer to the Issyk-Kul lake ( 280 km ). A visit to the Burana Tower on the way, which symbolizes remains of the ancient Balasagun town, belonged to Karakhanide khaganate. On arrival at Lake Issyk-Kul - accommodation in the hotel on the northern shore. A trip to Karakol (150 km). In Cholpon-Ata we’re going to visit a local art gallery, situated in the open air. Statues, made of stone, depict wolves, ibices, goats, horses, snow leopards and some scenes of hunting. A visit to the Russian Orthodox Church, Dungan Mosque and Przhevalski Museum. Folklore-show during the supper. 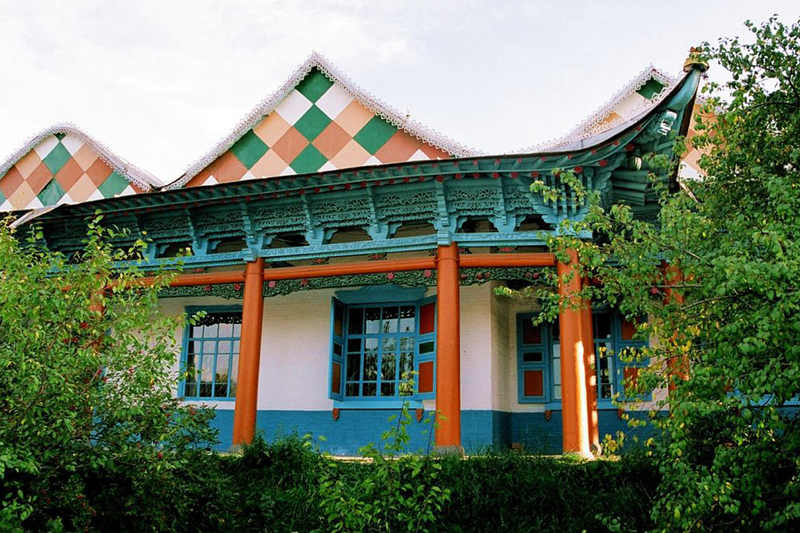 Overnight stay in Karakol. 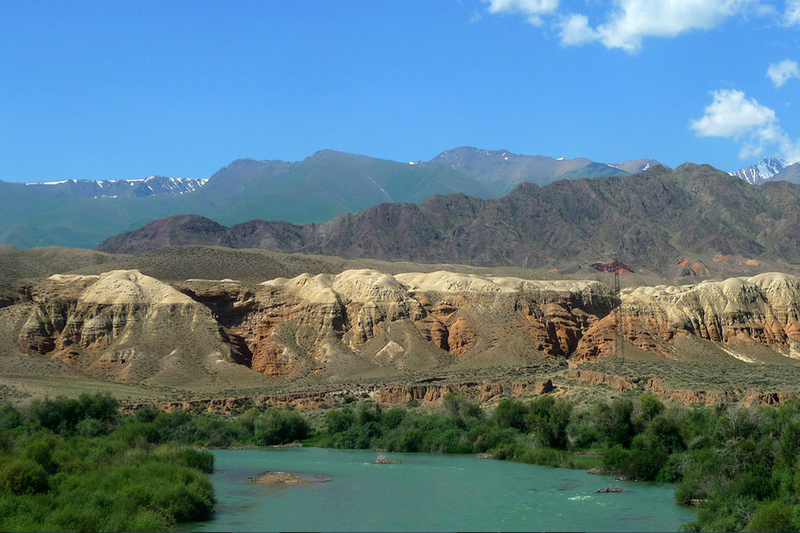 In the morning a trip to the Jeti-Oguz gorge, the valley of “Seven bulls” (40 km). The gorge is famous not only for its luxuriant green meadows but also for red sand rocks. Picnic. Next stopover in the Juuku gorge where you can have radon baths. Overnight stay in a guest house. 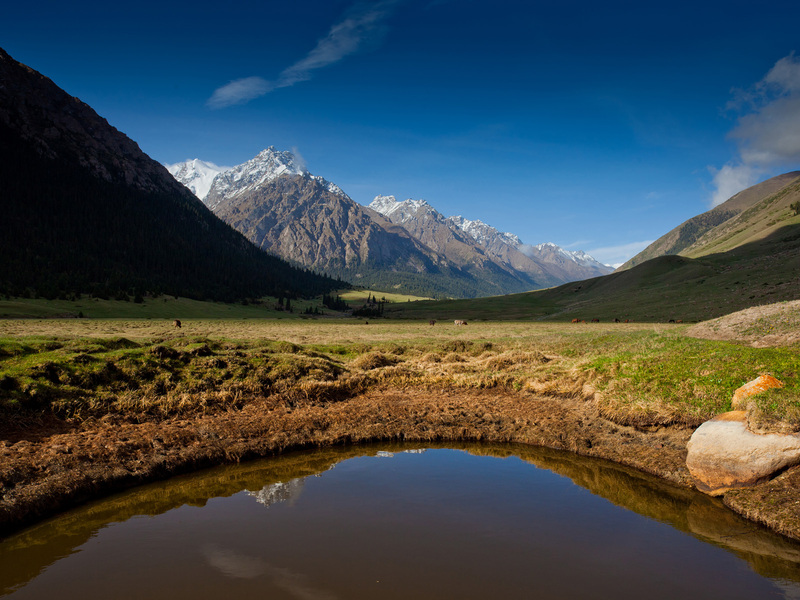 A horseback riding to the gorge, during the tour along the southern shore you can see the famous stones with Tibetan inscriptions. Lunch at the guesthouse. After lunch a trip to “Fairytale”, a fantastic gorge with colored mountain and sand rocks and hills. 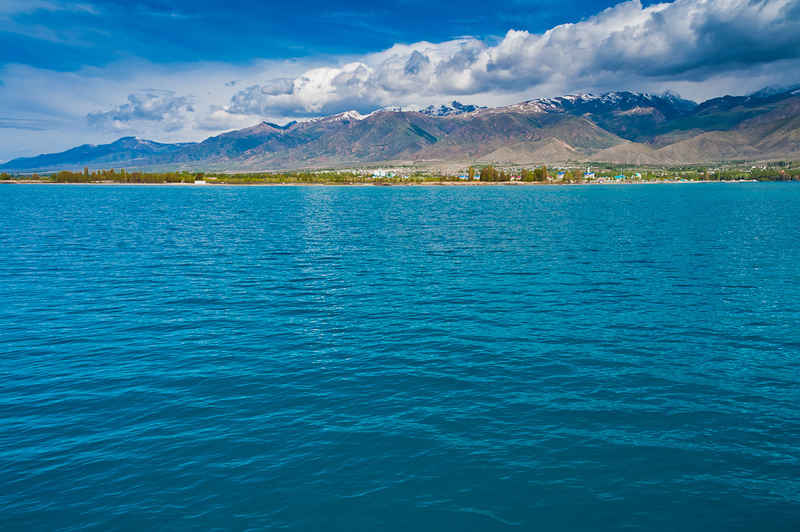 One of the most picturesque views of the Issyk-Kul lake is guaranteed. Overnight stay at a guesthouse in Tamga. Transfer to Bishkek (320 km). On the way a visit to Bokonbaevo village, where you will take part in carpet weaving, as well as will see a falconry show. Farewell dinner. Overnight stay at the hotel. Transfer to the airport (30 km), departure. 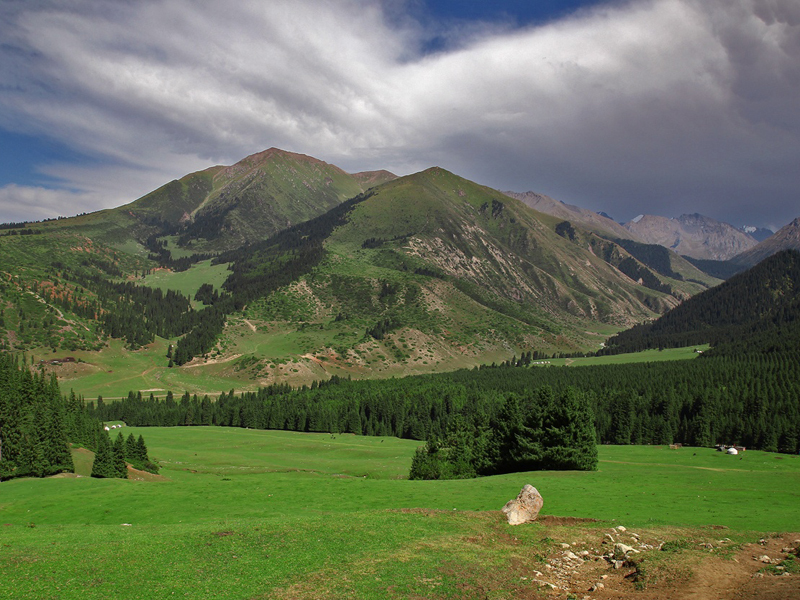 Issyk Kul - “Raduga” or “Three Crowns"
Transportation throughout the whole trip (2-4 people – minivan; 8 people – minibus). Excursions in accordance with the program, including entrance tickets to the monuments, museums, Ala-Archa National Park. Bathing in radon baths, horseback ridings. We recommend the tourists to have warm shoes, warm clothing, sunscreen and sunglasses with them.